The trademark piece of its coordinating collection, this decorative sofa features a traditional style displaying a classic elegance through thick rolled arms and exposed wood legs in a turned bun style. Welt cord trim and nail head accents complete the piece with a fine tailored look. Available in smooth brown bonded leather or chenille upholstery, this sofa features plush padded cushions made with pocket coils and a sinuous spring base. 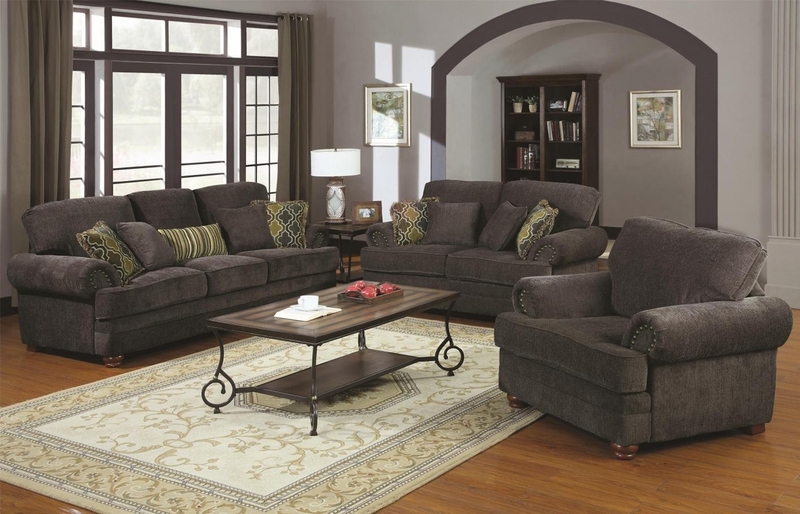 Pair this sofa with its coordinating loveseat and chair for a three piece set with a traditional home elegance.